Churchill Downs Racetrack (CDRT) today launched the Kentucky Derby Ticket Exchange by Ticketmaster, the only online resale marketplace to provide fans with a secure, reliable and convenient place to buy and resell tickets to the Kentucky Derby presented by Yum! Brands and Longines Kentucky Oaks. As the Derby’s only authorized resale platform, the Kentucky Derby Ticket Exchange guarantees that fans will receive legitimate, Ticketmaster Verified tickets. The Kentucky Derby encourages fans seeking to buy or resell tickets to only use the Kentucky Derby Ticket Exchange. Ticketholders who are unable to attend the Kentucky Oaks or Derby will be able to resell their tickets at face value or above using various pricing options and be assured that they meet all state and local regulations on ticket resales. 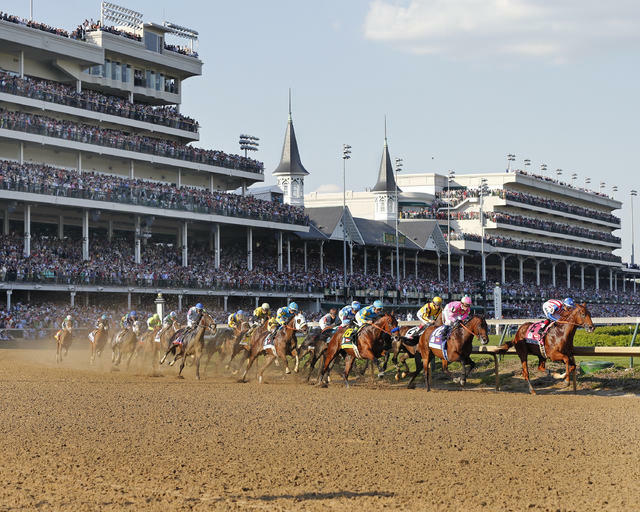 Because the Kentucky Derby Ticket Exchange is completely integrated with the Derby’s Ticketmaster software and uses barcode verification to ensure the authenticity of every ticket, ticket buyers can be confident that their tickets are legitimate. Fans simply visit www.kentuckyderby.com/resale and select to buy or resell tickets. First-time users to the site will be required to set up a Ticketmaster account in order to list or purchase tickets. Sellers will be prompted to enter their ticket’s barcode, select the desired ticket price at face value or above, and list the expiration date. Sellers will receive automatic status notifications via email and can remove their ticket at any time. As soon as a ticket is sold, Ticketmaster pays the seller through direct deposit. Ticketmaster’s privacy rules provide anonymity for and prevent any interaction between the buyer and seller. Derby fans can also purchase General Admission tickets through Ticketmaster at www.kentuckyderby.com or at any Ticketmaster retail outlet nationwide. Churchill Downs, the world’s most legendary racetrack, has conducted Thoroughbred racing and presented America’s greatest race, the Kentucky Derby, continuously since 1875. Located in Louisville, the flagship racetrack of Churchill Downs Incorporated (NASDAQ: CHDN) offers year-round simulcast wagering at the historic track. Churchill Downs will conduct the 142st running of the Kentucky Derby Presented by Yum! Brands on May 7, 2016. The track will resume its 2015 racing schedule with its September 11-27 September Meet and a Fall Meet scheduled for Nov 1-29. The track has hosted the Breeders’ Cup World Championships eight times. Additional information is available at www.ChurchillDowns.com.